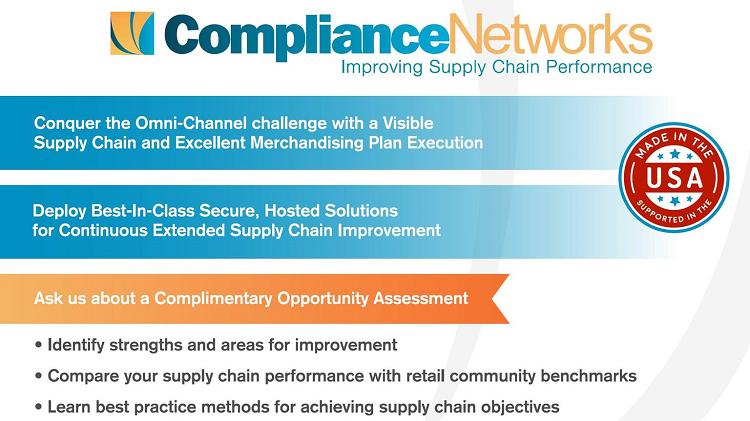 Compliance Networks is not your typical supply chain systems vendor. Instead we provide solutions that bring measurable, ongoing, and reliable profitability for the entire supply chain. Our extensive experience in retail, manufacturing, and military supply chains offers our customers unparalleled expertise and thought leadership. Our pathway to real partnership is understanding future business partner’s objectives while ensuring value-driven alignment. This is why even prospective customers realize real value just by participating in our sales process. To schedule an opportunity assessment, please contact Compliance Networks at 877-267-3671 or e-mail us at info@compliancenetworks.com.